Based in acceptance and commitment therapy (ACT), The User's Guide to the Human Mind is a road map to the puzzling inner workings of the human mind, replete with exercises for overriding the mind's natural impulses toward worry, self-criticism, and fear, and helpful tips for acting in the service of your values and emotional well-being - even when your mind has other plans. I've read many books on anxiety... this book drastically helped my anxiety and I continue to read it every time I need a little reminder or feel my anxiety coming back. It's amazing and well worth a read if your struggling with anxious thoughts. If I could only read one book the rest of my life... I'd be this book!!!!!!! I will be implementing a lot from this book! Probably the most influencial book in my library. 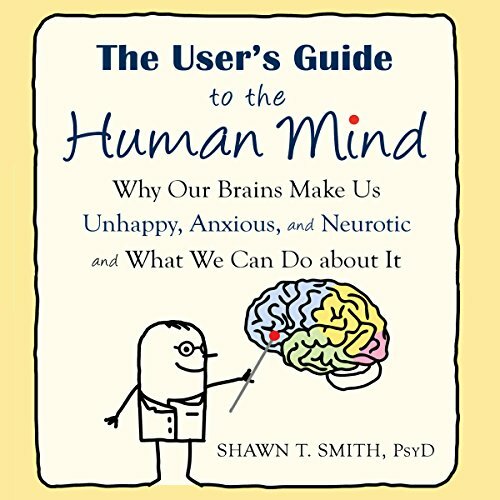 What would have made The User's Guide to the Human Mind better? The central message is that our brains are designed to worry in order to keep us safe. This author repeats this same message over and over again in the entire book and it's incredibly boring. Do they assume us readers/listeners are dumb? If so, he really doesn't understand how the mind works. Would you ever listen to anything by Shawn T. Smith again?